You are here: Home > Head injury, sport and dementia: should we be worried? Head injury, sport and dementia: should we be worried? It is both a challenging and exciting time to be investigating the relationship between traumatic brain injury (TBI) and dementia. A recent surge in attention around the topic is welcome but links with the milder-end of head injury in sport have to be treated with caution. A recent BBC documentary fronted by former footballer Alan Shearer, looked at a possible link between football and dementia. His motivation for making the film seemed to be a concern that rates of dementia might be higher in retired footballers than the general population. At face value, it looks like Shearer might have a point: of the victorious 1966 England world cup squad Martin Peters, Nobby Styles and Ray Wilson all developed dementia. Shearer was keen to understand whether heading the football might cause long term brain problems. In the documentary he found out about some of the effects of trauma on the brain in general, and even heard from researchers who have shown changes in brain electrical patterns shortly after someone performs a run of headers. However, it’s not clear whether these changes are specific to heading, or whether they have any relationship whatsoever with memory problems or dementia in the long-run. What is clear is a need for further research. The way we talk about this topic can sometimes be confusing. Head injury is any event in which someone receives a blow to the head which either causes physical damage or troublesome symptoms. If there are symptoms related to the hit, for example short-lived memory problems, a person might be described as having a ‘concussion’. However, many of the symptoms that people call a concussion, such as dizziness or headache can take place without any physical damage to the brain. If doctors suspect that there is physical brain damage, we might diagnose ‘traumatic brain injury’. While research suggests that people with a traumatic brain injury could be around 50% (1.5 times) more likely to more likely to develop dementia, head injuries can vary enormously, and so can the diseases that cause dementia, so the relationship is hard to unravel. We do know that one specific type of dementia has been associated with head injury, known as ‘chronic traumatic encephalopathy’ or CTE for short. First described in former boxers by Harrison Martland, an American pathologist, the earliest observations were of a combination of movement and thinking problems which he called the ‘punch drunk’ syndrome. It’s very unclear how common CTE is, as we can only reliably diagnose it by examining the brain after someone has died. CTE changes have been seen in a relatively small number of people typically following repeated injury, and very occasionally after a single severe hit. US neuropathologist Bennet Omalu observed the typical changes of CTE in the brain of Mike Webster in the early 2000s. Webster was a star player for the Pittsburgh Steelers, winning the Super Bowl on several occasions before experiencing profound personality change prior to his death aged 50, after which his brain was donated to research. This prompted an upsurge of research in CTE, particularly within American Football. Many retired players who experienced symptoms had brain examinations after death, and a recent study reported CTE in 110 of 111 brains of National Football League (NFL) players. While this is highly concerning, there’s a catch – the group was never designed to be representative of all players. Those who experienced symptoms would have been more motivated to donate their brains for research, and this is likely to have inflated the apparent rate of the disease. However, this doesn’t change the fact that very high levels of disease were observed in this likely high-risk group. The types of injuries sustained in football (‘soccer’) seem to be quite different in type and frequency when compared to American Football. There has been less investigation here into CTE rates, although a 2017 study at the University College London included examination of the brains of 6 former footballers who had been diagnosed with dementia. Strikingly, four of these had CTE according to current criteria. Once again, as in NFL players, it’s hard to draw any conclusions about how common CTE and dementia are in footballers who didn’t take part in the study, without looking at a bigger, and ‘unbiased’ sample. This is an important direction for future research. We need to look in more depth at thinking and memory problems as well as brain changes after trauma. Using well-designed studies to look in detail at the relationship between types of head injury and dementia will help us understand how prevalent CTE is across different groups of sports people and not just in those people who exhibit particularly strong symptoms. The Football Association has recently agreed to fund a study looking at dementia rates in retired soccer players to compare these with their rates of head injury. Known as the FIELD study (Football’s InfluencE on Lifelong health and Dementia risk) the research led by Dr Willie Stewart at the University of Glasgow is set to get underway soon. Critically, we need to get better at predicting and diagnosing dementia after injury while people are still alive. This is my focus, working at Imperial College London in Prof David Sharp’s team, together with Alzheimer’s expert Prof Jonathan Schott in the Dementia Research Centre at UCL. Supported by Alzheimer’s Research UK, Imperial Healthcare Charity and NIHR, we are looking for brain shrinkage soon after a person experiences a head injury, to understand how this relates to thinking and memory problems. We have already seen striking rates of brain shrinkage on MRI scans after trauma, reflecting a loss of brain cells. The work will also allow us to see whether long-term problems can be predicted using scans and an ultra-sensitive blood test for proteins released during brain damage. By understanding these changes, we hope to design studies that can test medicines to stop nerve cell loss and prevent dementia after traumatic brain injury. Finding treatments in this setting is our goal and this may also have important implications for other forms of dementia including Alzheimer’s. Our work will help us to answer some of the most important questions in the field: how does dementia develop after trauma? How does this relate to mild injuries or concussions? And what can we do to stop it developing? Playing sport as part of an active lifestyle has important benefits for health. Maintaining good heart health can help reduce the risk of dementia as well as conditions like heart disease and stroke. The governing bodies who set the rules in sport should enhance precautions to minimise the risk to players related to head injury wherever possible. This might mean making changes to what represents an acceptable tackle, enforcing and updating concussion and return-to-play guidelines, or restricting access by setting an age at which children can partake in contact activities. The recent findings do introduce a very strong note of caution for participants in sports that feature repeated or severe blows to the head. Participation is a decision that depends on how individuals weigh potential risks and benefits and deal with uncertainty. This becomes even more difficult in the case of children who cannot yet to take their own decisions and must rely on responsible adults such as parents and teachers to do so. It is now apparent that this is not necessarily a trivial decision. We need more evidence, and we need it fast. I hope that working alongside scientists globally and with those who have had brain injuries, our research will both help empower people to make informed decisions about lifestyle and improve outcomes after injury. 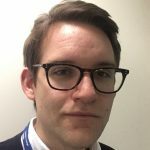 Dr Neil Graham is an Alzheimer’s Research UK Clinical Research Fellow at the Division of Brain Sciences, Imperial College London. He studied medicine at Cambridge and University College London, developing an interest in acquired brain injury during training posts at St Thomas' Hospital and the National Hospital for Neurology and Neurosurgery. His research interest is the relationship of traumatic brain injury (TBI) to dementia. Supervised by Prof David Sharp, he is focused on the development of imaging tools that can measure brain degeneration in patients after TBI. He is aiming to improve our ability to diagnose significant head injuries when they take place and working towards treatments that could prevent brain degeneration after injury. 9 Responses to Head injury, sport and dementia: should we be worried? I am an ex professional footballer. I was a centre forward and exhibited early signs of dementia. I believe I have reversed the symptoms and my memory and recall has improved significantly. My late Husband was a Professional footballer in his youth. In those days they played with leather balls which were laced ! Can you imagine what it must have been like to head one of these balls, perhaps a few times during a match and also when wet ?? My Husband was still playing 5 a side ( or 7 ) when he was 70 years old and only stopped when he needed a total hip replacement. All this when he had been diagnosed with Parkinson’s Disease at 63 ! He also had Parkinson’s related Dementia which was most definitely the most cruel part of his illness. Being so physically fit helped enormously with movement etc. I watched Alan’s programme with great interest and can quite understand his concern for players of his era, and today, although the footballs they use today are considerably lighter ! I for one am convinced that there is a connection between heading balls and Dementia. It is surely no coincidence that several of these older retired players are all suffering from this cruel illness which not only affects them ( although in lots of cases these folks are thankfully, blissfully unaware ) but their families also ? I watch and await any new developments. As stated in the beginning of my piece my loving Husband is no longer with us. He passed away VERY suddenly in September 2014. He is greatly missed by all ! So sorry to hear about your late husband. Thank you so much for sharing your story. Hi, I had an accident when I was 2 and a half, I was knocked down by a car a was unconscious apparently for a long period of time. As I got older I suffered headaches migraines and forgetfulness. It wasn’t until I was an adult that I was told I had suffered a fractured skull. (this was in a family argument as this would explain my madness!!!). I have like most people suffered headaches and sometimes very severe, do you think that maybe my head injury would eventually lead to dementia? There is some research that suggests a link between severe traumatic brain injury and a greater risk of developing Alzheimer’s disease, or another type of dementia, years after the original head injury. One study showed that older adults with a history of moderate traumatic brain injury had a 2.3 times greater risk of developing Alzheimer’s disease than those with no history. Further to this, a large scale study published in PLOS Medicine journal yesterday found a link between traumatic brain injury and increased risk of dementia https://www.alzheimersresearchuk.org/traumatic-brain-injury-associated-dementia-large-study/ Not all studies find a link, and although there is a growing body of evidence to suggest that there is increased risk, findings from research remain inconclusive. Studies so far have not been designed to identify whether traumatic brain injury was the definite cause of dementia, so further research is necessary before we can understand the exact mechanisms behind this link. We are not medically trained and are therefore unable to comment on individual cases, if you are ever concerned about your memory we suggest you speak with your GP. I had a motorbike accident ,in 1979 , the top of my spine was forced up into my skull,fractured it,it then scraped my brain,I had meningitis. This as left me with Grand Mal temporal lobe epilepsy and memory problems,black outs, balance problems. I have a 3 inch scar on my brain . Does that mean I will have Dementia? Previous research has suggested a link between traumatic brain injury and an increased risk of developing dementia and Alzheimer’s disease. For example, a large scale study published in PLOS Medicine journal yesterday found a link between traumatic brain injury and increased risk of dementia https://www.alzheimersresearchuk.org/traumatic-brain-injury-associated-dementia-large-study/ However, not all studies have observed this association and so the evidence is not conclusive. Further research is needed to investigate this link and explore whether the time elapsed after the injury may influence the risk. Understanding the long-term consequences of a head injury and the changes that lead to an increased risk of dementia is an important goal for research. We have recently funded a research project that will look at whether traumatic brain injuries increase a person’s risk of Alzheimer’s disease, you can read more about the study here https://www.alzheimersresearchuk.org/research-projects/looking-head-injury-dementia/. Unfortunately, as we are not medically trained ourselves we are unable to comment on individual cases. If you are concerned about your symptoms in the future, you may wish to speak to your doctor for further guidance. My husband, aged 74 is an ex professional footballer playing as a centre forward, many of his goals were scored by heading the ball. He also tells of training exercises such as head tennis, constantly heading the ball against a wall or to another player. He was diagnosed with vascular dementia and degenerative Alzheimer’s in 2011. I am now his full time carer. It was his birthday party on Sunday, on Monday he wanted to know who all the cards were for. He has difficulty with mobility, personal hygiene, dressing, just about everything . When I think back to how vital and fit he was it breaks my heart. He gets very aggressive sometimes and at others is the life and soul of the party. He has very strong social skills but they hide a very bewildered man. Awful disease.